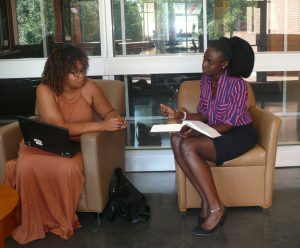 North Carolina Central University (NCCU) School of Law offers a variety of resources and programs to support students in their academic achievement, personal growth, and professional development. These services advance the overall student development and become an integral component of the legal educational process. In the Office of Student Services you will find a professional staff offering services committed to responding to the diverse needs and abilities of all students. You will find our administrators actively engaged in their respective departments providing assistance with admissions, career services, financial aid and student affairs. Our administrators are here to provide our students with a wide range of services enabling them to get the most out of their law school experience. Located on the first floor of the School of Law, students should feel free to come by and take advantage of these services.